There were no special camouflage colours for the North African theatre at the time when units of the German Afrika Korps landed in Libya in February 1941. Once again, the troop had to shift for oneself. Usually, a mixture of earth and water was smeared on the vehicles. This resulted in a very effective camouflage finish after this mixture was dry. This camouflage finish was not very durable but it could be renewed, easily. On 21th March 1941, the colour of the vehicles used in Africa was regulated by AHM Nr. 281. The vehicles should be painted with the use of a spray gun to 2/3 in Gelbbraun – yellow-brown – RAL 8000 (today Grünbraun – green-brown – RAL 8000) and to 1/3 in Graugrün – grey-green – RAL 7008 (today Khakigrau – khaki- grey – RAL 7008). Small surfaces like rims could be painted in one colour. The insides of hatch covers of tanks and armoured vehicles were painted in white by the factories. In AHM Nr. 315 from 25th March 1942, the camouflage coating of the equipment of the Afrika Korps was newly regulated. Now the equipment should be painted to 2/3 in Braun – brown – RAL 8020 and to 1/3 with Grau – grey – RAL 7027. However, old colour stocks should be used up. Without doubt, other colours beside the prescribed colours were used, too. Most probably, British as well as Italian colours were used. During the Tunisia campaign, American colours could have been used, too. 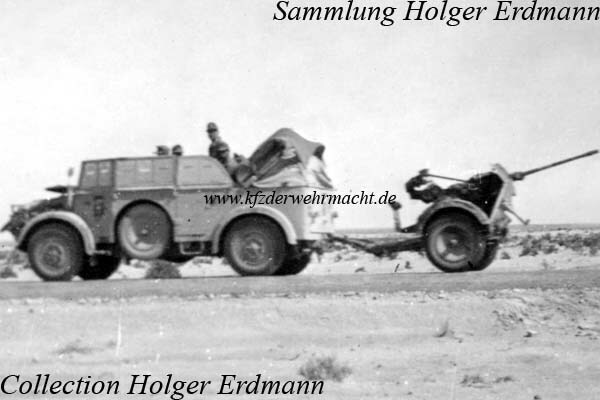 First in 1941, vehicles in the colours of the Afrika Korps were seen on the eastern front. In summer 1942, an increased number of vehicles in desert colours were used on the southern sector of the eastern front. This photo shows only one example of the multiplicity of the used colours and camouflage patterns used by the Afrika Korps. 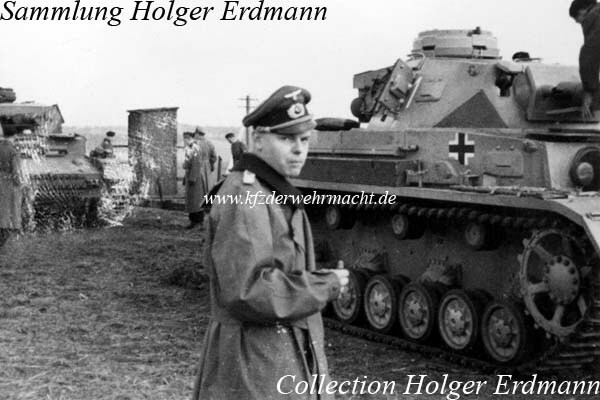 This Panzer 4 F of Panzergrenadier Division Grossdeutschland was photographed on the east front in early summer 1942. The vehicle was painted in colour shades of the Africa Corps. The first vehicles painted in such shades appeared on the east front in 1941.